Want to add some shade and interest to your space without fully committing to a large structure. Our pavilions and pergolas are the perfect choice for you then! 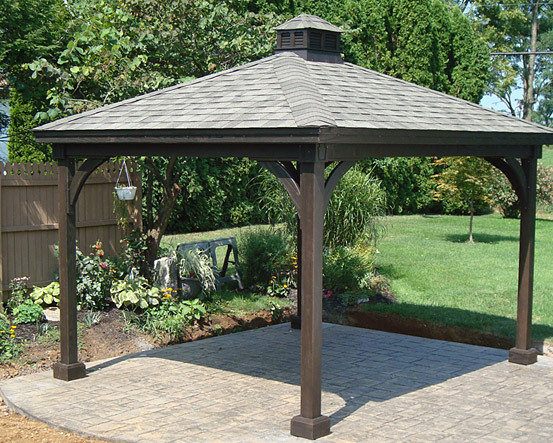 With a variety of styles and colors we can find something that adds just the right amount of shade to your backyard and matches your home perfectly. Before ordering, swing by our Johnston location or give us a call at 401-228-3995. We will walk you through the process of finding just the right pavilion or pergola for your needs. 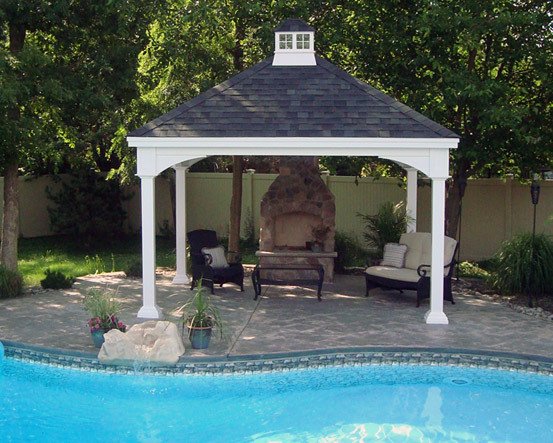 Once you have made your selection, John or Bob will go out to your site to make sure that your space allows for perfect placement of your new pavilion or pergola. 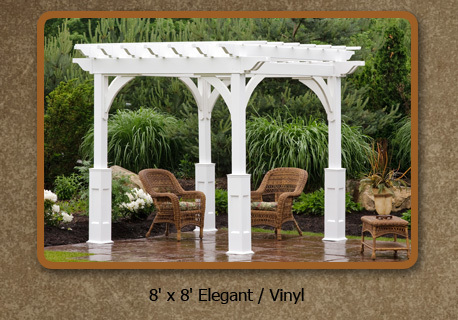 All of our pavilions and pergolas are American made and carry a 10 year structural guarantee so you never have to worry about the quality of your new shed. Below is just a small sample of products we either carry on our lot in Johnston or can order specifically for you. Don't see what you're looking for? Stop on by and get something custom made just for you! Your imagination is the limit!